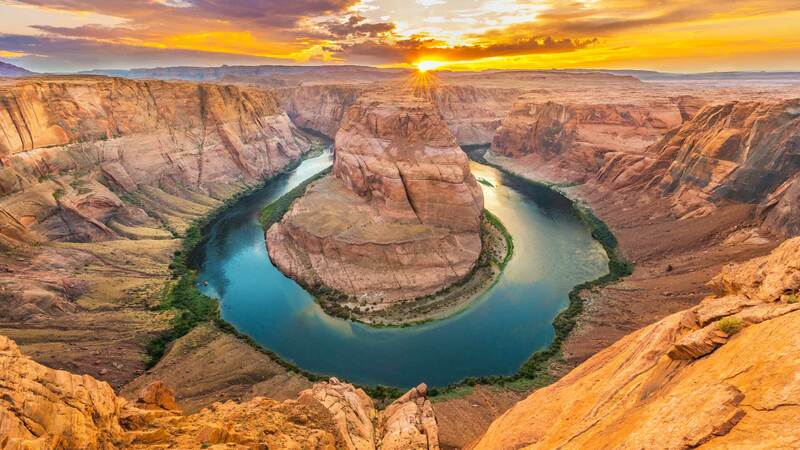 This bend in the Colorado River is getting plenty of attention from those looking for the Grand Canyon. 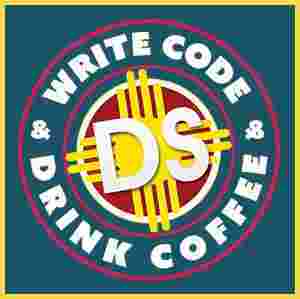 It is located approximately 140 miles from both the South Rim and the North Rim of the Grand Canyon – but only 5 miles from the beginning of Grand Canyon National Park. 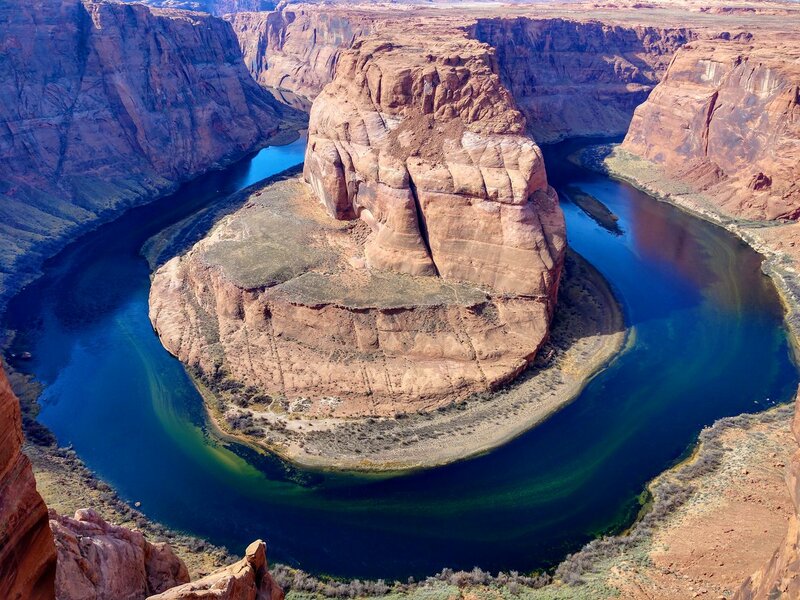 You can experience Horseshoe Bend when traveling from Rim to Rim via Highway 89/89A by simply taking a short 18 mile excursion towards Page, Arizona. It is about a 3/4 mile walk out to the edge overlooking Horseshoe Bend. 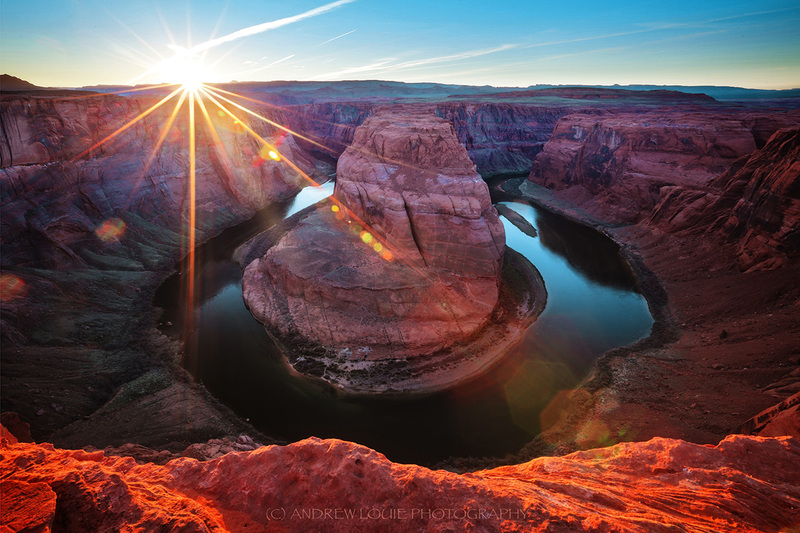 At Horseshoe Bend, as you stand on the edge of the canyon you can see the river and take incredible photos. This place has become highly memorable and many people seek it out when they are in the Grand Canyon area. Many visitors are not aware that the Grand Canyon is surrounded by many small canyons and Horseshoe Bend is beginning to be expected to be in the Grand Canyon. However, it is just several miles from the beginning of the National Park and is growing in popularity annually. Now people are adding it to their Grand Canyon experience…because they can have their picture taken and it feels like you “IN” the Grand Canyon…making it feel like you are in the Grand Canyon near the Colorado River.